Peruse images of the Bar Crusher 490C, a contender in the Aluminium Fishing Boats category at the Australia's Greatest Boats 2016 test. The Bar Crusher 490C quickly became one of the most talked about aluminium fishing boats on the market after its release at the start of the year. Here was an aluminium fishing boat in the sub-5m category, built by a high-profile plate-aluminium manufacturer, yet priced well under the $40,000 mark. Bar Crusher released two models: a 490 WR centre-console-style model, and the 490 C (Cabin). 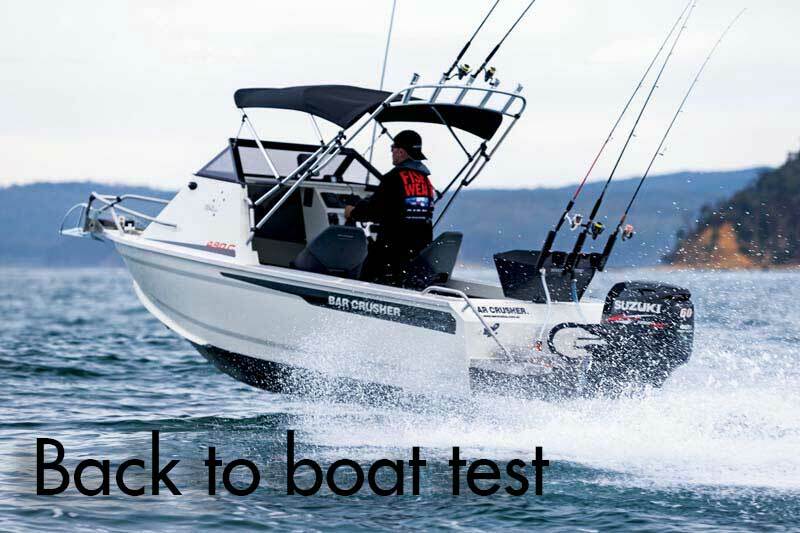 This last one — the fishing boat you see here — competed in the Australia’s Greatest Boats 2016 test. Being the cuddy cabin sibling to the open layout, it was perhaps the less fishing-orientated of the two. While it’s nice to have open boats for many forms of fishing, the cuddy cab design suits a far greater variety of customers, plus it provides that extra little bit of protection from our harsh elements. In fact, the Bar Crusher 490 C even has a pivoting windscreen for storage in low garages. Our conclusion is that the Bar Crusher 490C cuddy is a ripper. Don’t underestimate it from its simple outward appearance, as the design is quite complex and built from experience, not by a computer.